It was with great sadness that we learned of the passing of Scottish journalist Ian Bell. Our thoughts and sympathy go out to his family. Ian was a highly-regarded columnist with first the Scotsman and then the Herald newspapers. His writing displayed sharp intelligence, wit and exceptional insight, distilling complex arguments and human emotions into something you might want to read over breakfast. His columns seemed to become more important at the very time that newspapers were losing readers and influence. Bell wrote brilliantly about human tragedy, stupidity and fraility, and, as a passionate Yes supporter, ruthlessly took apart many of the lies dumped on ordinary people by corporate and political elites. In the early days of Product, we grandiosely decided to ask him to write for us, and were astonished when he agreed. Ian became very supportive of the fledgling magazine. He understood what we were trying to do and encouraged us to forge ahead and create something distinctive. His Product pieces were some of the first to deconstruct celeb culture, cultural obesiance and the moral vacuity of New Labour. He was superb at standing up to bullies, especially when they tried to present their own version of events as both true and popular. His last Herald column, in which he lambasted Hilary Benn’s speech in support of air strikes – and its cheerleaders’ motives – was a classic example of his intellectual and technical prowess. Journalists often get dewy-eyed about how true practitioners of the art “speak truth to power”, yet few have the guile and gall to pull it off. 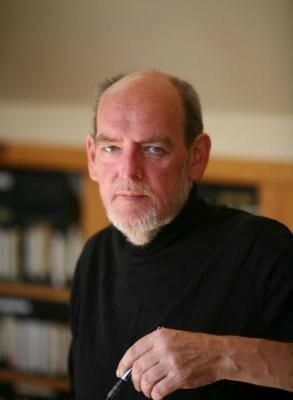 Ian Bell was a terrific columnist, brave and clever, and Scotland feels a little smaller without him.